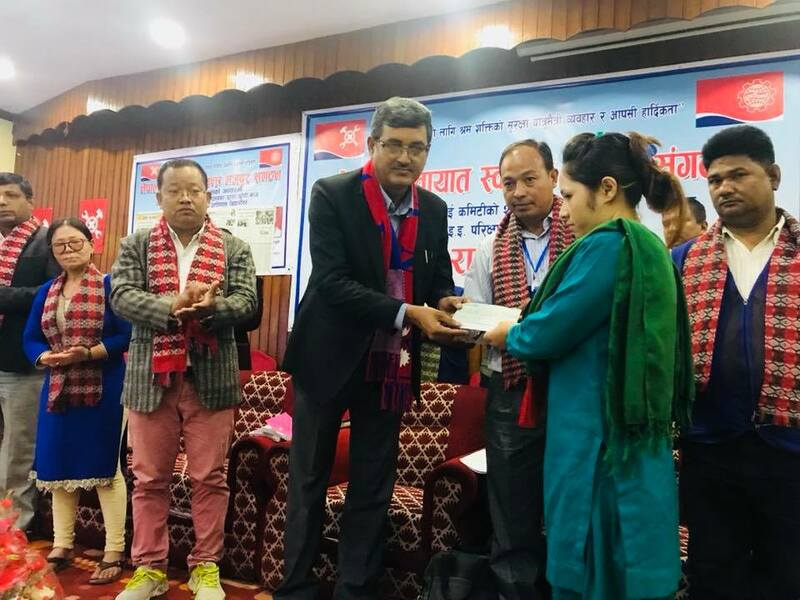 GEFONT affiliate Independent Transport Workers' Association of Nepal (ITWAN) Araniko route unit committee has provided economic relief and honoured its members during Celebration of Foundation Day of Araniko route unit committee. Chief Guest of the programme GEFONT Vice President Cde. Ramesh Badal handed over the cash 3, 87,477 on different topics. In the program economic relief has been provided to the families of deceased members of Rasuwa landside & handover treatment relief to the sick members. Likewise, in the same program Chief Guest Cde.Badal has felicitated SEE Passed out children’s of its members. The program was presided by Cde. Durga Bahadur Shrestha and conducted by Secretary Pursotam Humagain.